Here at LaurenConrad.com, we all love cooking up dishes that are healthy and delicious. But there are times when making something simply because it’s cute is a good enough excuse for us. 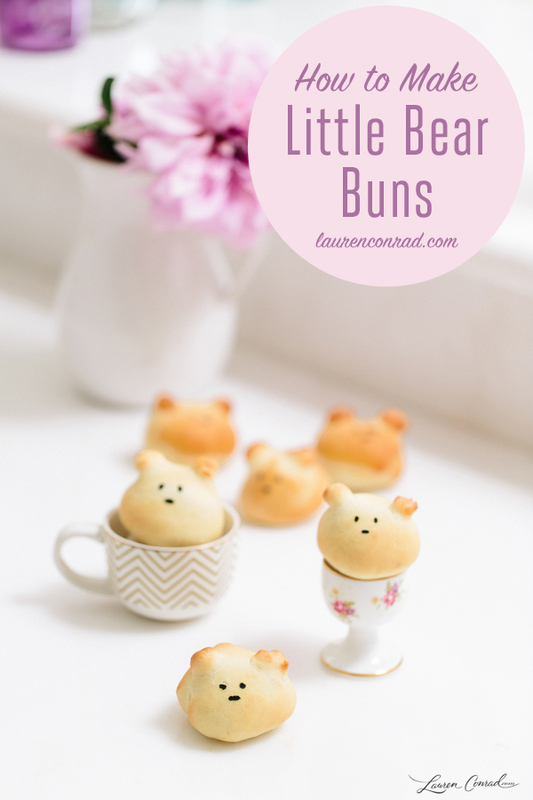 So, at our most recent photoshoot with our fabulous baker and friend Lauren Lowstan, we decided that these little bear buns were a must-bake. 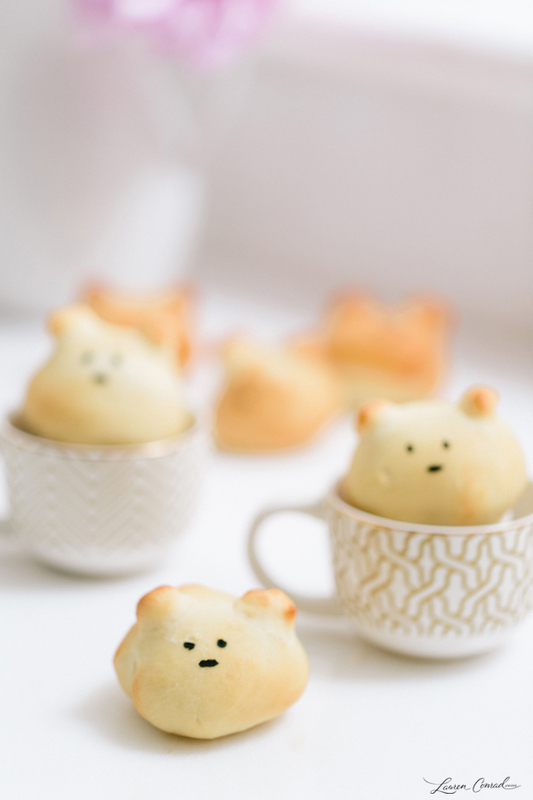 The ingredients are those of your basic bread roll, but the cute little faces are what make them extra special. Put the flour, yeast, sugar and salt in a bowl and whisk to combine. Add the milk and egg into the dry ingredients and mix everything together. Take the dough out of the bowl and knead until it becomes elastic, for about 5 minutes. Add the butter and knead the dough for about 10 minutes or until the dough is soft and shiny. Put the dough in a lightly greased bowl and cover with plastic wrap. Let the dough rise for about 1 ½ to 2 hours until doubled in size. Preheat oven to 400º F, then divide the dough into 16 equal pieces and roll all of them but one (which we will use for the ears). Place them on a parchment-lined baking sheet and roll the last ball into little round balls for ears. Add the ears to each ball with a little water, and let the bear rolls rest for 10 minutes. Once your bear buns are ready, set them on a tray to enjoy or serve to your guests. But I warn you: They’re so cute you might not want to eat them. Do you have any requests for us to bake at our next photoshoot?